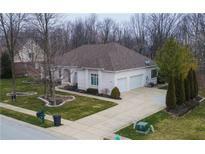 Royal Troon Village - Wonderful location nestled on a cul-de-sac MLS#21630888. RE/MAX Centerstone. Workshop Area Has Plenty Of Room To Store Your Decorations And Is Big Enough To Let You Work On Your Hobbies. MLS#21630784. eXp Realty, LLC. Come out today to tour this Everett quick move in home. MLS#21630792. CENTURY 21 Scheetz. 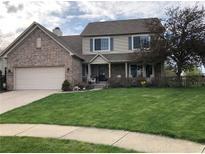 Avon Trails - NEIGHBORHOOD FEATURES: pool, playground, walking trails, basketball, etc.. Great location in Avon with easy access to shopping, interstates, etc...…. MLS#21629865. RE/MAX Advanced Realty. Wonderful rear covered porch, sun room and a large garage. MLS#21630176. Capitol City Realty, LLC. Heathermor - Don't delay in seeing this home today! ! MLS#21629905. 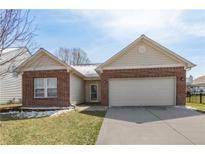 Keller Williams Indy Metro W.
Lexington Woods - This 3 brm & 2 full bath is a real find and available at closing. Please see updates below. MLS#21630213. Carpenter, REALTORS®. 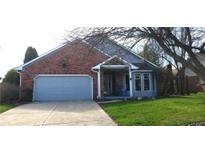 Avon Trails - Located in desirable award winner Avon Community Schools. 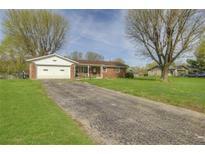 MLS#21629296. CENTURY 21 Scheetz. Glenfield - It is walking distance to Abon High School and minutes away from Washington Township and Avon Town Hall Parks. MLS#21619039. CENTURY 21 Scheetz. Avon Trails - Just 4 Miles to I-465 and everywhere in Indy! MLS#21628186. CENTURY 21 Scheetz. 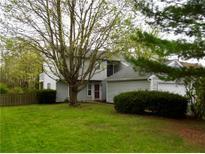 Minutes away from IU West Hospital for peace of mind... and from Washington Township Park for the active life! MLS#21628586. CENTURY 21 Scheetz. Ians Pointe - Highest & Best due by 12:00pm April 3, 2019. MLS#21629415. Keller Williams Indy Metro W.
Devonshire is convenient to all Avon has to offer; including shopping, dining, parks, interstates and much more. MLS#21629879. HMS Real Estate, LLC. All kitchen appliances included. Schedule your tour today! MLS#21629089. RE/MAX Ability Plus. 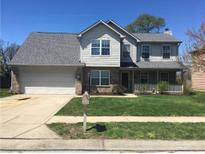 Woodcreek Crossing - This one is a must see! MLS#21629322. Carpenter, REALTORS®. Woodcreek Crossing - See, Look, Love, Buy and move! MLS#21629608. RE/MAX Legends Group. Enjoy the additional storage offered by the 3 car garage. Pond homesite. MLS#21629711. HMS Real Estate, LLC. Oaks Of Avon - 3-car stacked garage with workshop area. This is a GREAT home! MLS#21629747. Heartland Sun Properties LLC. Enjoy the additional storage offered by the 3 car garage. MLS#21629692. HMS Real Estate, LLC. Photos shown may be an artist rendering, model home or of the same model. MLS#21629495. CENTURY 21 Scheetz. 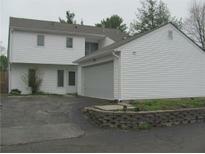 Photos shown are of the Kingston model in Camden. MLS#21629482. CENTURY 21 Scheetz. Photos shown are of the Ashbury model home in Camden. MLS#21629487. CENTURY 21 Scheetz. Photos shown may be an artist rendering, model home or of the same model. MLS#21629466. CENTURY 21 Scheetz. Photos shown are of the Ashbury model home in Camden. MLS#21629469. CENTURY 21 Scheetz.